We offer complete building demolition with certified dangerous goods handling, asbestos abatement and removal implosion demolition. We are proud of our performance record over the past 33 years; providing our clients with a professional service on time. 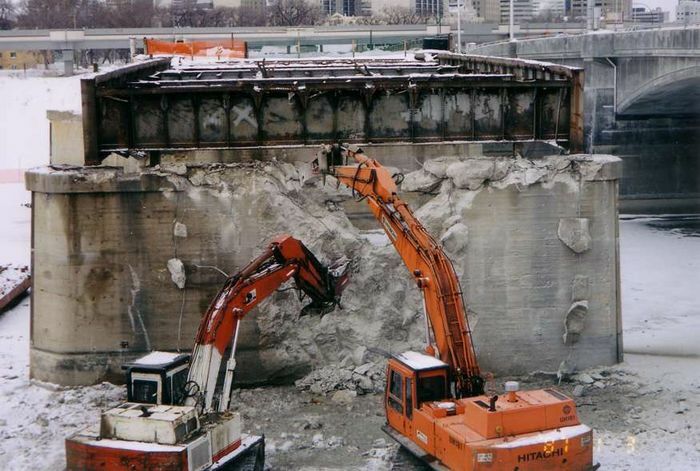 McColman and Sons Demolition Ltd., incorporated in 1979, has over 33 years experience and expertise in demolition and hazardous material removal. Our wide range of related services along with our drive for perfection and total commitment has satisfied clients on hundreds of projects. Our Mission is to provide technical expertise and innovation in a cost-effective approach and to provide quality service to our customers in order to fulfill their specific project and program needs. Each project, regardless of size or complexity, is handled with sensitivity and attention to detail. McColman and Sons Demolition Ltd. is there to serve. Often, demolition is the first step in a long-term project that will have a lasting impact on the surrounding community. On behalf of everyone here at Glen Armstrong Construction Ltd. I would like to take this opportunity to express my thanks in having the opportunity to work with you and your crew on the Alberta Transportation demolition and remediation project completed last fall here in Peace River. Everyone involved from your end was an absolute pleasure to work with. Should the opportunity present itself, we look forward to working with you on future projects. Please pass along my sincere appreciation to everyone involved from your end. General Manager - Glen Armstrong Construction Ltd. The St. Michael’s Health Care Centre Demolition Project recently completed by your firm was, quite simply, very well done. On behalf of the owner and consultants involved we want to acknowledge that the contributions and cooperation that McColman & Sons Demolitions portrayed is the reason this project went extremely well. We wish you much success in your future endeavors.